I love to study the Bible. I often talk about reading and exploring scripture. This may conjure up an image of me sitting in a chair with an open copy of the Word of God in my hands. While this is an apt understanding, I seldom read the Bible that way. I often tap technology to facilitate my reading and studying of scripture. 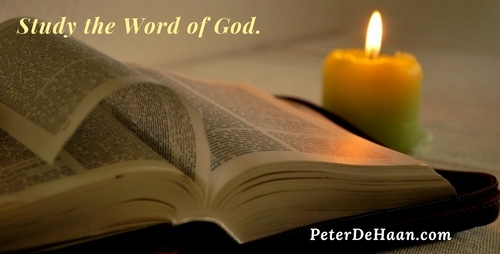 Bible Gateway: I use Bible Gateway most every day as I explore the Word of God. It allows me to read and study the Bible, offering over fifty versions to pick from. I can look things up by chapter and verse or do a search for keywords or phrases. It’s my go-to aid for Bible study. One option I really like is the “add parallel” feature. This lets me look at a verse in up to five translations at the same time. It shows them in columns and allows me to quickly consider a verse in my five favorite versions of the Bible. Another nice feature (though I don’t use it) is the ability to listen as a text is read. For some people this is a great way to learn, hearing a passage while reading it. Bible Hub: Another popular online tool to study the Bible is Bible Hub. It also allows me to look up a verse. Then it displays that verse in twenty-five versions of the Bible. It’s a quick and easy way to compare the text in various translations. Like Bible Gateway, Bible Hub also offers many other resources to aid in Bible study. Google Search: Since I have read the Bible in many translations, I can paraphrase a lot of verses, but I can’t quote many with 100 percent accuracy. This is because my mind merges various translations together. Though both Bible Gateway and Bible Hub let me search for a specific phrase, it doesn’t help if I don’t know the exact wording. Instead I go to the world’s most popular search engine and type in the word Bible followed by the phrase as I remember it. In almost all cases, Google provides me with the correct verse, usually with links to the passage in Bible Gateway and Bible Hub. Plus, there’s bound to be a long list of pages that teach about that passage. Other Options: Of course, there are many online tools and apps to consider. These allow us to read and listen to the Bible, study it, and dig into it using many valuable resources. Just do an online search and you’ll find more solutions than you can ever use. There’s no ideal way to read and study the Bible. Explore these various options and discover what works best for you. It may be an app, a program, or a website. Or you might just go old school and read the Bible from a printed book. When it comes to reading and studying the Bible, just do it.